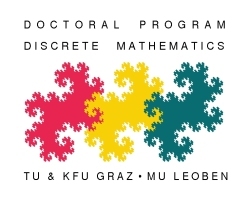 Programme on "Heights in Diophantine geometry, group theory and additive combinatorics"
Heights are a fundamental tool in many branches of number theory that allow to quantify the arithmetic complexity of an algebraically defined object. Whereas in Diophantine geometry heights have become an indispensable tool the use of heights in group theory and additive combinatorics is a rather new development. However, recent work of Breuillard, Bourgain, Chang, Konyagin, Shparlinski, and others indicate that heights might become a very valuable tool in geometric group theory and additive combinatorics, not only to prove but also to formulate the problems in a broader and more conceptual context. One aim of this programme is to deliver a common platform for all of these communities as we believe that this will lead to fruitful interactions in the future. Many thanks to Peter Grabner for providing useful html-templates.